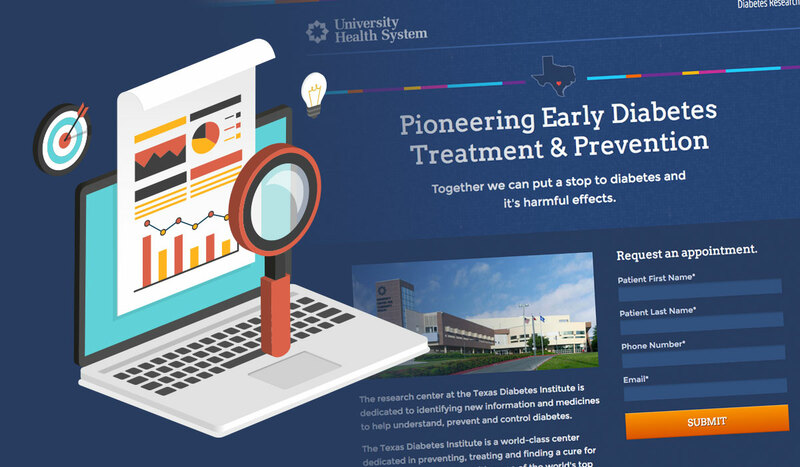 The Texas Diabetes Institute research center reached out to us to help increase community awareness so diabetes patients know they exist. In addition, they wanted to inform them about their services and gather leads for these potential patients. 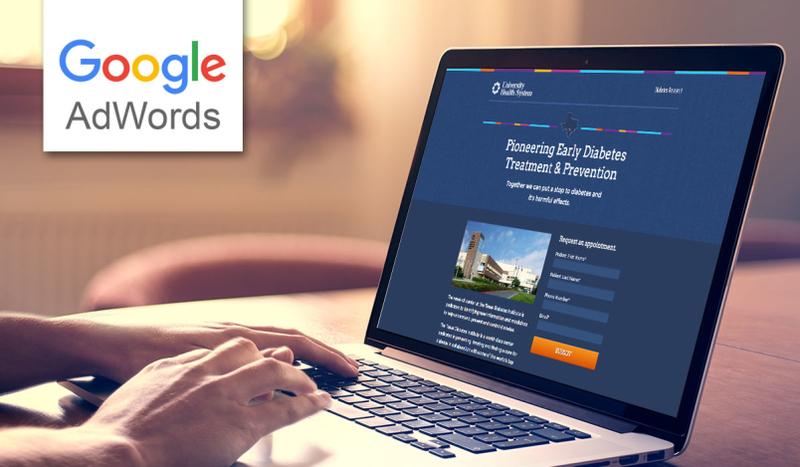 We knew that an Adwords campaign and strategic landing page was just the ticket to get more patients through their doors. Every good campaign begins with a solid foundation, or in this case, a solid landing page. 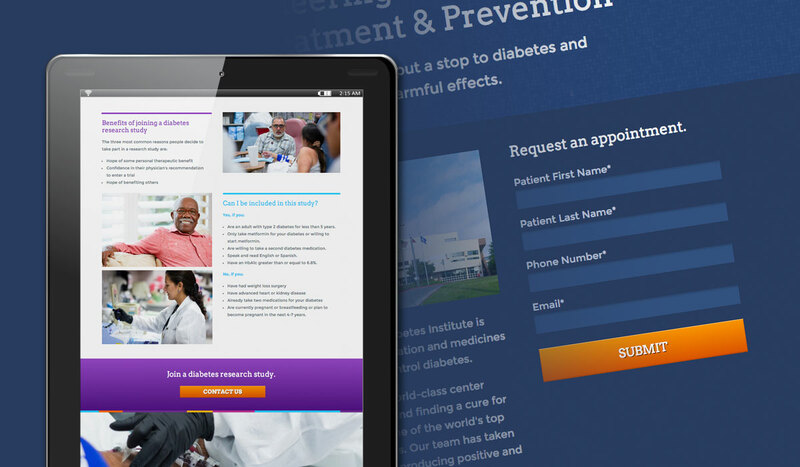 An informative landing page with a custom form allows the user to request an appointment and get started in the research study. The copy and entire campaign directs all links to this landing page so that not only the ads are monitored, but the amount of leads, or in this case, form submissions are coming through. Of course, the landing page design is also mobile-friendly and will easily adjust to any width device to allow the best user experience. Getting traffic to the landing page is important. If there is no avenue for viewers to get to the landing page, it’s like an island with no bridge, no boat, nothing! This customized Adwords campaign builds a bridge to the landing page. Because everything is based on what the audience is already searching for, so they will most likely be interested in the information and act on a call-to-action. We researched and crafted a broadly-targeted group within Bexar County. As the campaign ran, we kept a watchful eye and continued to tailor the target and keywords that continued to keep traffic and conversions coming. Implementing conversion tracking to further optimize traffic also kept the campaign firing on all cylinders. Since launching the campaign, the ads have had a lifetime average position of 1.4 which is more than ideal. This means that the ad will typically rank at the 1 or 2 spot for our keywords. And this is even before we really have dug into the optimization. A great start to any campaign!